First it was being called a revival; now it's being hailed as a renaissance. Vinyl albums, once on the verge of obsolescence, just marked their 12th year in a row of growing sales numbers, with Nielsen Music reporting 14,320,000 records sold in 2017, the highest number since the company started tracking vinyl sales back in 1991. In fact, 2017 also marks the first year since 2011 that physical album sales topped digital downloads. It's a staggering comeback for a medium that was all but dead 15 years ago when the internet opened the floodgates of digital music streaming, downloading and pirating. That came after the advent of the vinyl-killing CD in the 1980s. How did this resurgence come about? More new artists are releasing their music on vinyl, and classic records are getting deluxe reissues, like the Beatles' Sgt. Pepper's Lonely Hearts Club Band, 2017's No. 1 selling vinyl record. Add to that, major retailers like Urban Outfitters and Barnes & Noble have recently started racking vinyl in their stores. Then there's the renewed interest in the independent record store that's grown since Record Store Day began 10 years ago, an annual event that celebrates the country's nearly 1,400 indie record retailers as cultural hubs. In the North Bay, the local record store lives on in shops like Santa Rosa's Last Record Store, which has been operating since 1983, and San Rafael's Red Devil Records, which is celebrating its 20th anniversary. Doug Jayne already had a long history of working in corporate record shops like Music Plus in 1970s Southern California, where he was raised, but he was making a living as a mechanic when he relocated to the North Bay. "I got sick of L.A., and I ditched with a girl I worked with and we moved up here so she could go to Sonoma State in 1979," Jayne says. "I was living in Santa Rosa and I found myself driving down to Cotati and Petaluma to buy records, because all the stores in Santa Rosa were lame—Record Factory, Rainbow Records, you know." Jayne so badly wanted Santa Rosa to have a cool record store, he decided to get into the business again and called up his old friend, Hoyt Wilhelm, whom he had worked with at a store in Azusa, Calif. ("A to Z in the USA," remembers Jayne) and who was working as a teacher in Santa Cruz at the time. Jayne convinced Wilhelm to move up to Sonoma County, where they tried to buy Prez Records in Santa Rosa's Railroad Square. When the owner reneged, the pair found a space at 739 Fourth St., a few doors down from where the Russian River Brewing Company sits today, and opened the Last Record Store in 1983. These days, the store's name seems to carry a prophetic connotation, as the Last Record Store has long outlasted corporate retailers like the Wherehouse and Sam Goody, though the name was inspired by the band Little Feat's 1975 release, The Last Record Album. That album also boasts a mural on its cover that prominently features a jackalope, the mythical half-rabbit, half-antelope that is the Last Record Store's official mascot. The logo of the jackalope wearing sunglasses that adorns the store's walls and merchandise was designed and drawn by artist Rick Griffin, who created several iconic psychedelic posters and album covers for the Grateful Dead. "We never thought that people would walk by and go, 'The Last Record Store—you truly are, aren't you?'" Jayne says. "We never thought we'd be the last dudes standing." For two decades, the Last Record Store was a focal point of Santa Rosa's downtown scene, sandwiched between the Old Vic pub and popular magazine and periodicals purveyor Sawyer's News. 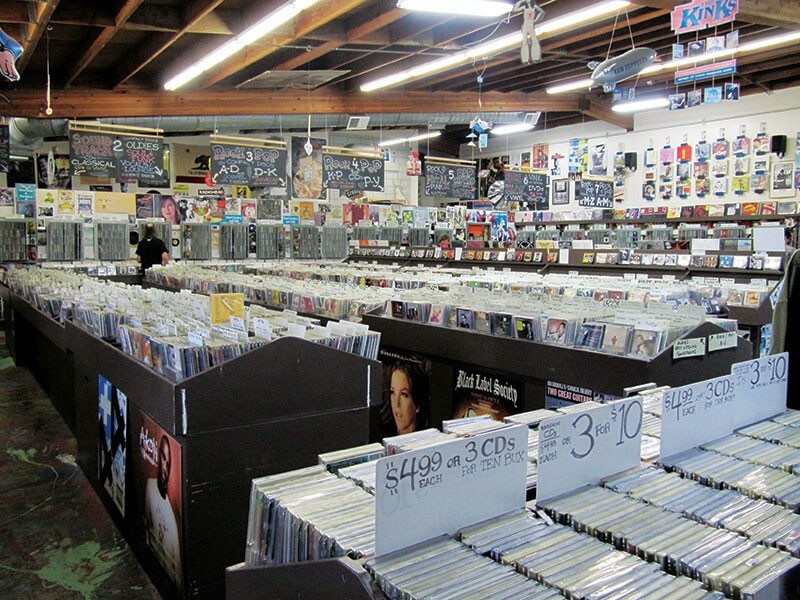 After 20 years on Fourth Street, the Last Record Store moved to its current location at 1899 Mendocino Ave., next door to Community Market, in 2003. 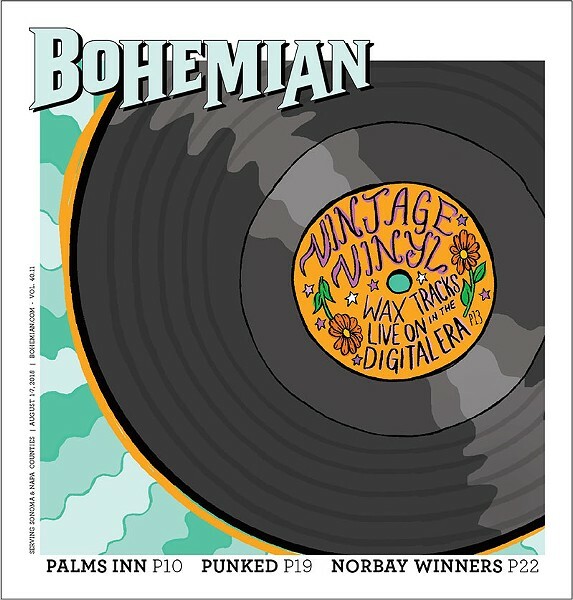 Despite several lean years during the early 21st century's digital revolution, the store has seen an uptick in business, especially in new and used vinyl sales, that matches the national trends. "Our business really suffered for a couple years, but finally people started buying stuff again," Jayne says. "It's been pretty good for the last 15 years, really, and the thing with vinyl [sales] is just nuts. I have no real answer for that." Jayne may not claim to have answers, but he has a perfect analogy. "There's a bit of what I would call the PBR angle. It's cool to like a cheap beer, and people love coming into the record store and finding a cheap record," Jayne says. "And we are also able to appeal to people who like the high-end stuff. We're selling $30, 180-gram vinyl albums that are more like a fine wine. So we're like a bar that sells to cheap drunks and to wine enthusiasts, musically. And we have people that come in all the time, multiple times a week, so there's a collector angle to it. God bless those people."